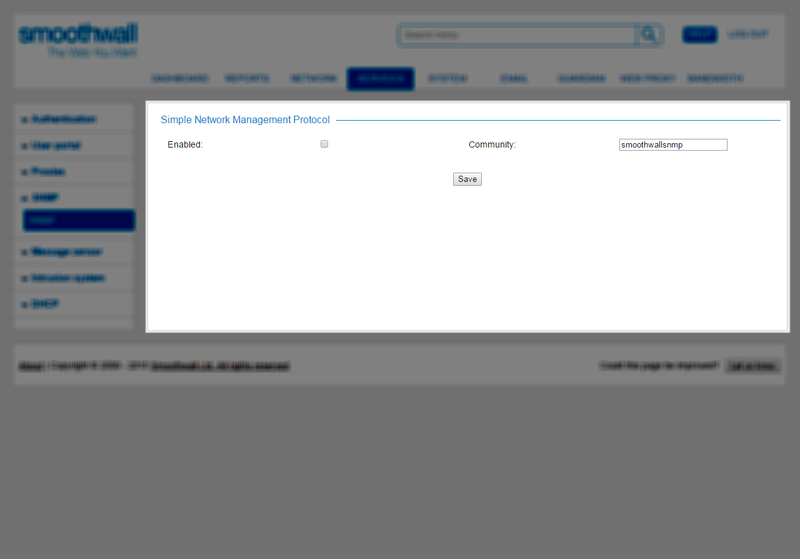 You must allow access to the SNMP port through the Smoothwall firewall. 2. Add an access rule for the following Services — SNMP (161). 1. Go to Services > SNMP > SNMP.